Home»All»We’ve Been Boo-ed! 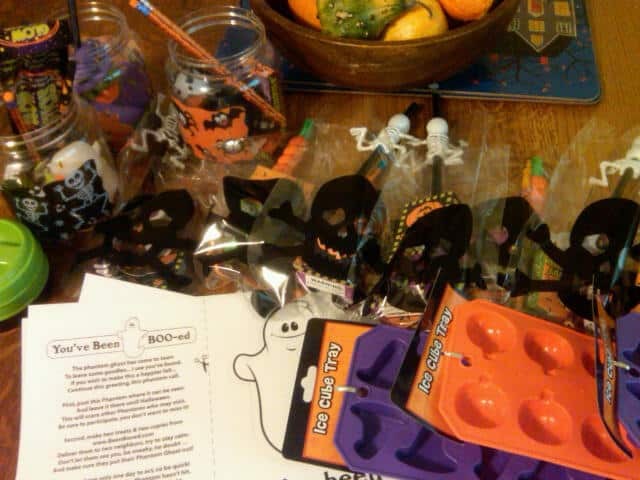 Where to find the “Been Boo-ed” paper & How to “Boo” your friends! We’ve Been Boo-ed! 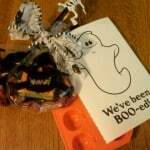 Where to find the “Been Boo-ed” paper & How to “Boo” your friends! 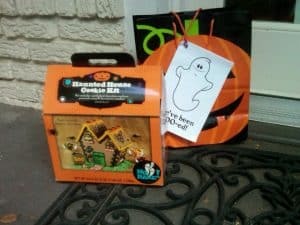 The “Boo-ing” has started for 2012! You might remember that we started “Boo-ing” our friends last Halloween. 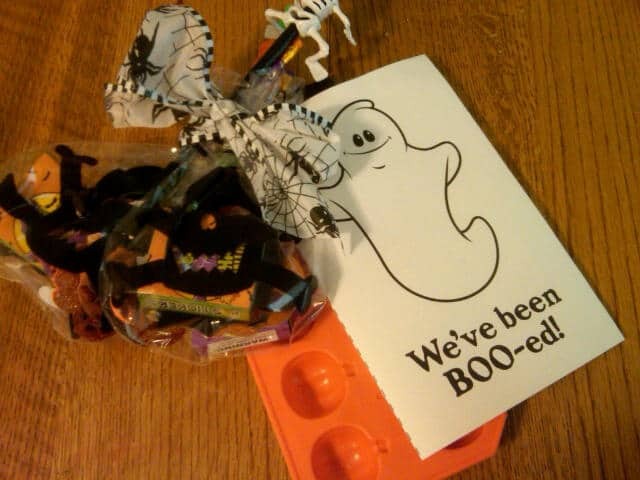 Now I’m happy to let you know that We’ve Been Boo-ed for Halloween 2012! When we came home from school, we had a surprise waiting for the kids on the porch. Our friends had boo-ed us with a Haunted House Cookie Kit. The paper, found HERE, has a poem and told us to boo our friends within a day. Fortunately we had our loot ready. 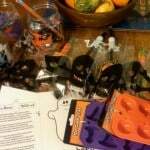 The kids gathered up the Halloween treasure of stickers, bracelets, hair ties and pencils and even ice trays! Since my kids are ages 5, 3, and 1, I called ahead, just to be sure there were no bad surprises. And so we’d have some extra time to drop off the packages before being caught. We pulled up, the big kids giggled and ran like crazy. They dropped off the packages, ran back, got into the car seats and we escaped undetected (although I suspect the other mom was watching the operation through her upstairs window). My kids thought they were so clever to drop off the gift for their friends, and I have reports that their friends were delighted with the surprise. We love Boo-ing our friends. Give it a try this year! Where in Houston? Ocean Star Offshore Drilling Rig Museum!